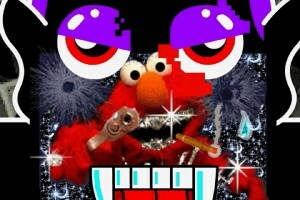 Booty Melt, a mash-up of re-edited YouTube clips and original flash animation, explores the conflation of cartoon violence and real or implied violence in the pop vernacular. 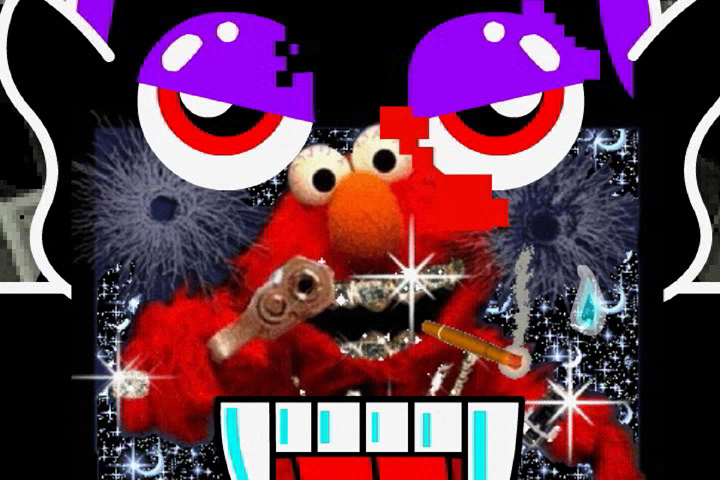 Ciocci finds hybrid monsters of caricature/reality in hip-hop fashion (the front-zipping hoodie, embroidered with the gun-toting Elmo, Cap’n Crunch counting money, the crack-dealing Snow Man) and emulative teen culture (iconic viral videos of straight-faced youngsters dancing and lip-syncing to hip-hop). Just as errant Looney Tunes become sinister symbols in the everyday, YouTube flattens identity, and, as Ciocci explains, “makes cartoons out of everybody.” Throughout, Ciocci overlays web video images with Flash animation of claws and bleeding bodies, in surreal disruption of the “live” video backdrop. The music is a remix of 2 Step by the band Extreme Animals. Looking Foward To Communicating With You!! !